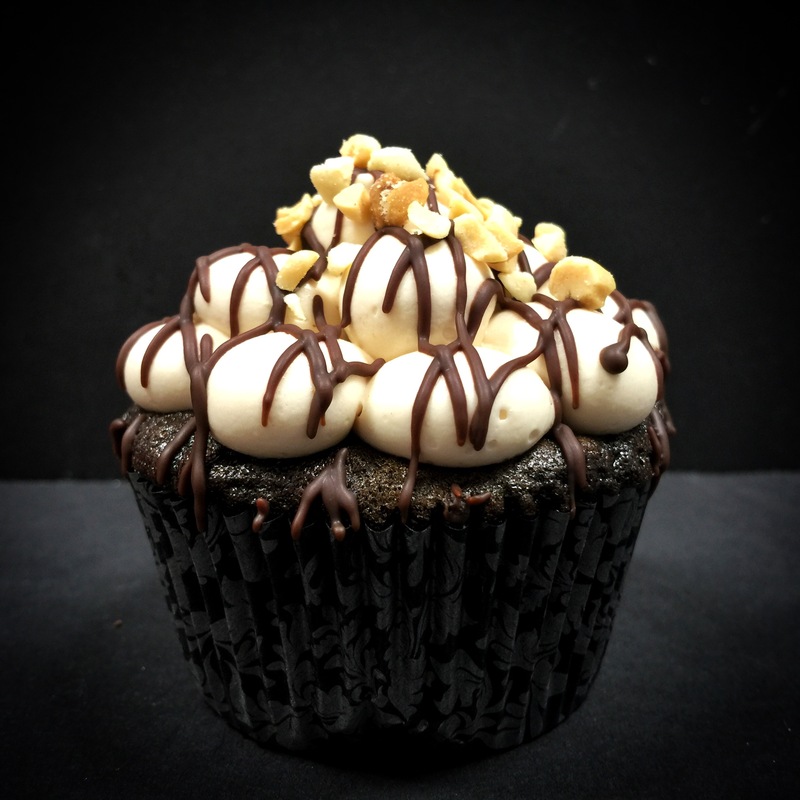 At Sinful Sweets, each of our indulgent flavors is crafted around a scintillating deadly sin. We’ve already discussed Gluttony, but next up is another sin we’ve been guilty of ourselves: Pride. We take great pride in every one of our custom gourmet cakes and cupcakes, but who out there is not proud of the amazing man or woman they are? Pride is all about inflating one’s ego and self-worth beyond the realm of reality – even though in reality, we know you’re a badass, deserving of feeling proud. Our Pride flavor is almost as big and bold as your ego after receiving a compliment. It may seem a little snooty, but you really can’t blame the Pride cake since it tastes so good. Our Pride cakes and cupcakes are the height of sophistication, featuring freshly chopped coconut mixed into our signature almond cake, and filled to the brim with scrumptious raspberry preserves. And just wait until you taste the incredible frosting! 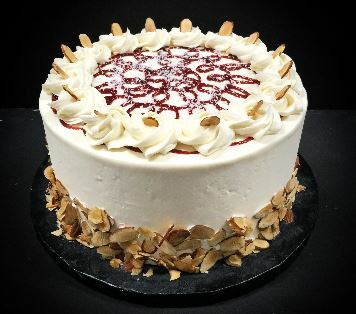 Rich almond buttercream tops off this unbelievable cake, plus a garnish of sliced almonds and raspberry drizzle add even more prideful decadence to this delightful twist on a classic wedding cake taste. What’s wrong with being a little proud? Not a thing, we say at Sinful Sweets. You’re a boss, and you deserve to celebrate that by indulging in a delicious pride-flavored cupcake or cake. In fact, the summer may just be the best season to indulge in the deadly sin of Pride. With all of the graduations that are taking place this season, you’ll need to have a cake at the party. Why not make it a Pride cake from Sinful Sweets and show your friends and family that you’re damn proud of your recent grad! By the way, while all of our indulgent cake and cupcake flavors are deliciously sinful, we keep our ingredients virtuous, meaning we only use top-notch stuff. Plus, we’re even more proud that each of our signature cakes and cupcakes are baked from scratch – which also means that our Pride cakes have a little of our own pride baked in, too! We’ve just reopened at our new location – 258 Alexander St. in Rochester – so stop in, see our new store and get a tasty Pride cake or cupcake now! To get your sinful order started, give us a call at 585-483-0349 today.